During my time in marketing, I've benefitted from an accelerated career trajectory. I put this down to a number of important decisions that I've made over the past few years. I'd like to share these beneficial decisions, as well as the mistakes, in the hope that you'll be able to develop your own successful career in marketing. How do I land a senior position at an awesome company? How do I learn tactics that nobody else is using? How do I create a personal brand that will have companies approaching me to come work for them? These are all questions that I get asked on a regular basis. In the grand scheme of things, I’m in the relatively early years of my career, but during this time I’ve benefitted from an accelerated career trajectory. I’ve been very fortunate with the opportunities that have come my way and feel particularly optimistic about those that will arrive in the future. With all that said, I don’t believe that I just got lucky. There are a number of decisions that I’ve made over the past few years that have contributed to the early success that I’ve had. I’d like to share these with you in the hope that they may benefit you in the same way. Don’t Chase a Salary. Chase Problems. Let me tell you a secret. For at least 40% of my working life so far, I may as well have been working for free. As I came out of university and a lot of my friends took nice graduate roles at companies with well-known names, I stayed at a tiny marketing agency that I’d been working in part time during my final year of studies. I earned £16,000 per year. There were no stock options, bonuses, free lunches, ping-pong tables or meditation rooms. There were four of us working out of an oversized shed using our personal laptops to do the work. I worked from 7am to 11pm some nights and nearly every single one of my friends earned around three times my salary. I did this for nearly 3 years and saw my salary reach the dizzying heights of £18,000. Despite all of this, I was relatively happy. I was happy because whilst I certainly wasn’t “where the money was”, I was absolutely where the problems were. Every failure was a new lesson learned, and with that came more knowledge. At one time I believe I was responsible for working on the marketing strategies, in particular, the SEO strategies of 30 different clients. It’s fair to say that I wore a lot of hats, and every new client presented a whole different challenge. They presented challenges that I’d never faced before and I failed a lot – and I mean a LOT. But every failure was a new lesson learned, and with that came more knowledge. The key here is to never have to learn the same lesson twice. My thought process at the time was that I’d try to face as many unique problems as humanly possible so that I would always have a way to find a solution in the future. Even now when I come up against a tough challenge, I think back to some of the ways that I solved problems during this time, and it helps me think differently about the situation and attack it from a new angle. There’s a limit to how much you can teach yourself. Not only this, but there are also some problems that you’ll likely never face yourself. This is where learning through others is imperative. I’d attribute around 90% of the new things that I learn to these meetings alone. It’s the single most valuable exercise in my working life. This is something that anyone in any position can do. Ok, you may struggle to get time in with Elon Musk, but this is why it’s important to book time with people at a similar level to you – so that you can add equivalent value. I’ve found that almost every conversation I have with someone ends up in them suggesting that I speak to someone else they know, creating a domino effect of new conversations that I have lined up. If you’re reading this now and think this sounds like a good idea, open up your LinkedIn account and search for any of your connections with similar titles. There’s your starting point. Grow your career with access to my exclusive growth hacks. Receive exclusive content that you won't find anywhere else other than on my list. Not only that, but you'll be the first to access my new content, tools and offers. that will help accelerate your career in marketing. I hear a lot of advice given out to marketers in the early stages of their career to “find one thing that you’re good at and specialize in it.” This isn’t always the best advice, primarily because it takes a long time to truly figure out what you’re good at. Alongside this, placing yourself in a silo can inhibit you from learning skills in other channels and cross-pollinating ideas. Creating walls in front of new paths of learning means that you’ll limit your exposure to problems. Aside from learning limitations, this can end up placing you in a bucket that you may not want to be in 2-3 years from now, but you’ll find it difficult to get out of. Instead of trying to be the best in the world at Twitter advertising, begin by gaining a surface-level understanding of a variety of different channels. Instead of being one piece of the puzzle, try to be the one that assembles it. It’s no secret that most people don’t stay in the same job at the same company for their entire lives. The reality is that every few years, people move on from their current role to the next, especially in the formative years of their career. This was something that worried me greatly within my first couple of jobs. I’d invested a lot of time and energy into building a reputation for myself within the company I was working with, but if I left it would all disappear and I’d have to start again. I don’t like the idea that my reputation is out of my hands, and this was what first brought me down the path of building my personal brand. Your personal brand sits agnostic to that of your employer, so if you leave a company that you’re working for, you’ll maintain your reputation and find that your employability/investability continues on its upward trajectory. 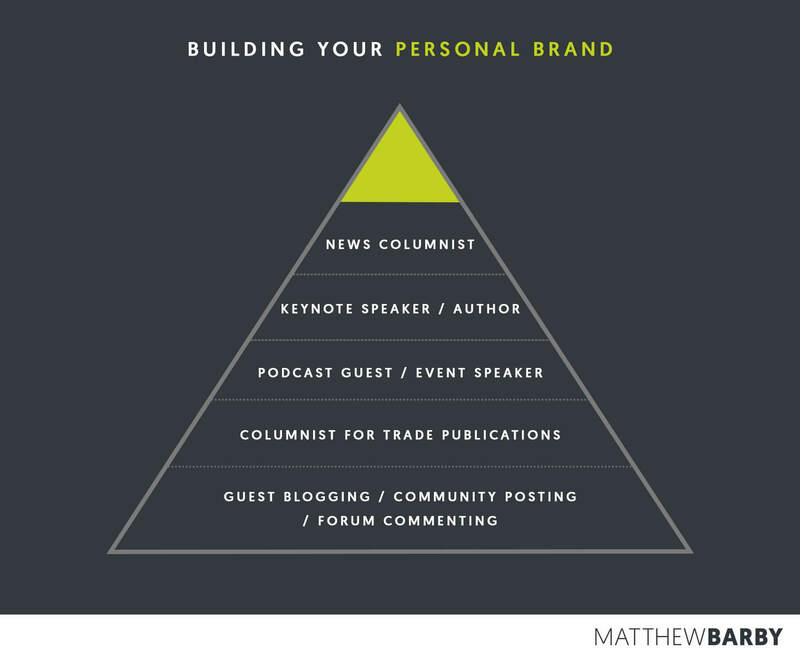 The thing with building a personal brand is that it takes time. A lot of time. If you’re working full time then this means carving out some extra hours to work on it. For just over a year I decided to work all the way through the night every Tuesday to build out content on my blog, as well as working on side hustles. I went for a swim first thing on Wednesday morning and it was straight into the office from there for a very tiring day. Be patient and stick to your plan. This took its toll on me, but I look back on it now as a worthy sacrifice. I decided that instead of taking up a few hours every night of the week - and leaving no time for actually enjoying life - it was more efficient to push through an entire night/morning once a week. That said, I’m certainly not advocating this approach. Instead, I want to highlight the fact that you’ll have to be prepared to sacrifice a significant portion of your time to work on this. Another important aspect of building your personal brand is being realistic. It’s highly unlikely that you’re going to land a major keynote speaking gig when you’re in your first 2 months of gaining experience. Work on achieving what is realistic, and what delivers value to you right now. Once the value delivered from one thing has diminished in comparison to the resources required to achieve it, move up to the next thing. I like to think about all of this in a triangle of hierarchy, as shown above. This is almost the exact playbook that I’ve taken whilst building my own personal brand. Instead of jumping in and creating a blog sharing my 2-3 months’ worth of knowledge (which added little value to anyone), I scoured through online forums and communities to find questions that I could answer, and when I did answer them, I’d go into great detail. Once this approach diminished in returns for me, I moved on to writing a guest post or two for smaller blogs, slowly working my way up the ladder of influence. Eventually, when I felt I had enough value to deliver, I started my own blog, I spoke at events, became a columnist for various trade publications and was invited onto podcasts as a guest. Each one of these expanded my reach and opened up more opportunities. Slowly but surely, a 10-minute speaking slot at a 50-person meetup turned into a 40-minute keynote at an event with many thousands of people in the audience. The gap between these two events was around 3 years. Be patient, and stick to your plan. If there’s one skill that I’m doing my utmost to work on improving the most, it’s patience. Everything around us amplifies the fallacy that we need everything now, and that for every day we wait another opportunity is lost. This is both not the case and an incredibly unhealthy mental state to live in. Don’t fall into it. Be patient, work hard and have a long-term plan with short-term milestones to hit along the way. Do this and you’re putting yourself in the best possible position to succeed. As an SEO who started just over a year ago I really appreciate this advice. One of the biggest problems I face is convincing clients to invest in the “SEO experiments” that I come up with whether it’s something I read or just want to try. Sometimes it’s easy because it’s tough for the client to grasp SEO in general and they trust my judgement. But when there’s pushback and they expect specific results, it’s hard to tell them to trust me when I am trying to do something I’ve really tried before. Did you run into this problem in your early days? Would love some time to pick your brain on some ways I can enhance my agency and our clients. We’re a HubSpot Partner Agency btw. Absolutely. The tough part is separating out what you ‘should’ do vs what you ‘want’ to do. I solved this by creating a few side hustles that I used as a testing ground for all of those things that I wanted to test but didn’t have the chance (or wasn’t willing to take the risk) with clients. I’d highly recommend doing this. Soon enough you’ll have enough successful tests under your belt to get buy-in moving forward for new experiments. Matt, thank you for putting this post together. It came at the perfect time (funny how that works out). Stories about successful marketers usually follow the narrative of how they quit their miserable job and built something from scratch. Don’t get me wrong, those stories are great, but there are plenty of good marketers out there who enjoy their job and are invested in accelerating their careers within a company. Thank you for writing something for this group (which I’m currently in). Love the idea of setting up regular meetings with people in similar role as you. Hopping off now to go through LinkedIn and get started there! Thanks, Emil. Glad it resonated with you. Most of the narrative around career growth tends to focus too heavily on the outliers (teenage millionaires, etc.) but gives little guidance on how things work outside of that. Good luck with setting up your first few meetings, I’m sure you’ll find them really valuable. Thanks for writing this! I’ve been trying to grow my own brand (one of the main things I’ve been doing is writing weekly digital marketing roundups on my website at kateneuens.com — shameless plug, I know), but I’ve been trying to think about how I want to branch out. For me, the end goal is to be seen as an expert on SEO to give myself the career options I want as I move forward. And I really appreciate the note about “chasing problems, not salary.” I’ve made the mistake at jumping at a salary and then finding the opportunities and challenges I needed weren’t there. Lesson learned and thanks for reinforcing! I have really enjoyed reading this piece, like all you’re previous ones I have learned from before. This has definitely come at the right time for me as I am feeling compelled to chase a salary. I have been working exclusively in Social Media for some almost two years now and I feel like it is time to expand my knowledge of digital marketing, going into SEO and PPC campaigns. I don’t want to go back doing internships to top up my basic, theoretical knowledge in these areas. At the same time, I don’t feel I am suitable for any all-round online marketing positions, as my experience is rather specialised. What’s my best option to branch out with some professional, first-hand experience? Thank you for your time. Keep up the good work! This is a journey I’m currently going through myself. Especially with respect to building a personal brand. I’m going deep on personal branding. I know it’ll pay off. 😂 I was waiting for a comment like this. Don’t worry, it’ll be business as usual soon enough – have a few big tactical posts that I’m prepping. Fantastic article, Matt! As I said via Facebook, my apprenticeship is putting me in a fantastic position to work in web development & digital marketing for the company I am working for early next year! If it wasn’t for your blog, I highly doubt I would have learned enough about the I dusty and gained enough of an interest to pursue this fulfilling career! I also started on side hustles to experiment with stuff, be it a drop shipping business, other ecommerce or just a blog or amazon affiliate marketing. These give really great experience and information. Yeah, side hustles like that are great to just go and test things out on, with low levels of risk. “Don’t Chase a Salary. Chase Problems” ABSOLUTELY. That will be the advice I’ll give to my children. That said, I went the other way around. My first job was in a big company with little work and a high salary. That allowed me to have a comfortable life for a few years and buy my house. Three years later, the price of housing doubled (we had a bubble in Spain), making impossible for young people to access housing. Bubble exploded and prices are lower now several years later (but also salaries due to the crisis). So I had some luck. Of course I could have rented or whatever, but you get the point. On the other hand, my career has been flat, losing value along the time. I’m sure chasing problems, sacrifice and hard work pay off in the long run, overtaking any other option. BUT it’s also true that not always do. Absolutely. At the end of the day, sometimes things just don’t work out as planned. Your career will be unpredictable and this is both part of the fun and the main source of frustration. Whilst I had a rough plan to stick to, I had no idea where I’d end up landing. What I would say though, is that purely chasing a salary is a quick way to send you down a dead end. What an excellent read and a truly inspiring article. It can certainly feel like you’re making no progress when you first start out. Although I have a vast amount of experience, I have found it difficult to develop a personal brand other than locally to people who already know me and what I’m capable of. I absolutely loved the idea about speaking with one person per week and just asking them what problem they had and how they resolved it – I will be doing this as of today! Great to hear, Jay. Looking forward to hearing how you get on. I’ve enjoyed a thriving 20+ years in Sales and Marketing Executive leadership. If you are in B2B Marketing and really want to accelerate your career, my best advice is to take a couple of years and move into a Sales role. Customer acquisition is all people, process, and tech tools … selling is the master class for people. Too many B2B Marketers concentrate within the process and tools tracks. Experience with selling will lift you to new heights. I like this idea. Completely agree with you on your points around acquisition being very reliant on understanding people/process/tools – I regularly listen in on sales calls at HubSpot to get closer to this, but having full sales experience would only add to that. Fantastic article as always, Matt! It was when I stumbled onto your blog in January that renewed my love for marketing and convinced me to stay in the field after being let go! Since then, I’ve moved into a web development & marketing apprenticeship with the view to go full time next March, only 8 months after my 18th! This is GREAT to hear. You’ve got a lot of challenges to come, but I’m sure you’ll do great. Just make sure you have a plan and stick to it. Matt, this was great to read. Thanks. At the moment I’m also kind of pushing through a whole night, but I really want to change that. Good luck in the future man! Hope yo catch you from behind one day! Thanks for this Matt, I’ve been following your work for a long time now. I’m taking a bit of a different path as I had my own agency for 5+ years and now am working on a marketing tech startup. I think this is the push I need to recognize that I should be writing and documenting my experiences in a longer form context. I also love the idea of tackling hard problems first rather than salary. As a recent CS Grad, it’s a tough to rationalize the proposition of turning down the salary and chasing the problems all on your own. In response to that concern, I’m trying to treat this time not only as trying to make a brand new product succeed but also furthering my education and trying to round myself out as a full stack developer and branching out into other areas such as ML. Really appreciate your writing and hope we get the chance to connect at some point. Turning down an attractive salary in the pursuit of great personal development is always tough. I think it gets easier as time goes on though because your minimum earnings threshold will typically be a lot higher – in your case, I can imagine this being particularly tough at the start. Every article covering career growth and every case study of success we read pushes us to chase money. Well… you can still chase money, but it doesn’t need to be right now. @Matt – Great article! The sacrifice of the the side hustle/personal branding activities is definitely a key factor in getting forward. The idea of meeting with peers in the industry is a fantastic idea that I will be incorporating shortly. Thanks! Some great ideas here, Matt! Question: In your experience, what’s the most effective way to approach peers that you’ve never met and ask them for a coffee/lunch meeting? Hi Michael, what I’ve found to work is to take a very casual approach to reaching out. Be honest about what you want to get from it and keep things as low commitment as possible – you’d be surprised how receptive people are. Once you have your first couple of meetings, make sure you ask the person you meet with if they’d recommend meeting with anyone they know. If so, ask for an intro from them directly. This will create a cycle of new intros and meetings to the point where you’ll no longer need to reach out to people yourself. 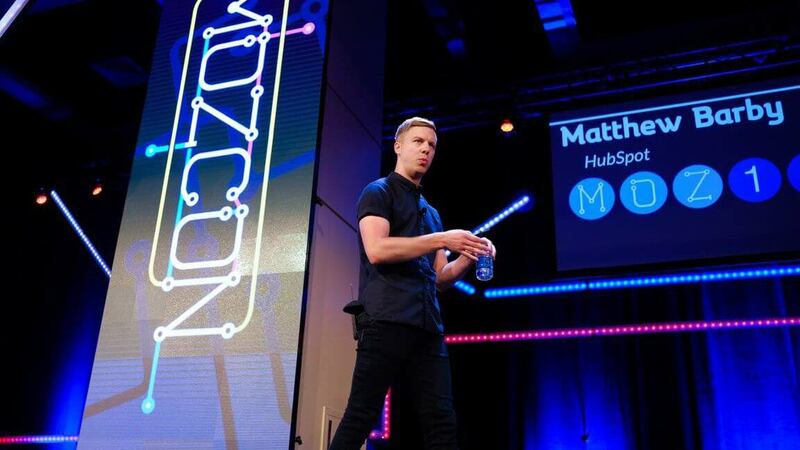 great post-Matthew, I like your every post, thanks for sharing careers in marketing. This is amazing content and a well time spent read! Curious – you mentioned a lot of time answering questions (that you have knowledge on) and then you got asked to do guest blogging. Are these question forum sites like Quora ? Do you have any you can recommend? Also how did these smaller blogs reach out to you to do a guest post? Thanks! Absolutely. I spent quite a bit f time on sites like Moz’s Q&A section, Reddit, etc. and then used these examples of knowledge-sharing to qualify myself for guest blog opps. I reached out to blogs citing my Q&A work to get these opps but also had people approach me directly after reading my answers. “Don’t obsess over specialization” – AMEN. My young career has spanned product marketing, content marketing, branding, project management, and now into SEO. All skill sets that have benefited my current role. Understanding a variety of omnichannel opportunities will only make you that much more valuable in the future. Excellent read, Matthew. I also had the pleasure of seeing you at MozCon 2018. Great stuff! Great Post as always. I have a couple questions about the personal brand..
1. Would it make sense to first create content on your site before making guest posts so the link goes to something? Or should I just start guest posting? Hi Matthew, I used to visit your website often for new content and all. You are truly the best Digital marketing consultant in the world. Your SEO efforts are clearly visible. Your website is on the top of Google search for the keyword “Digital marketing consultant”‘ almost in any country when searching from Google. I guess that itself is a great achievement. I wish you all the best for your new role in Hubspot and would love to meet you soon. Thank you sharing your journey with us and sharing these valuable pointers. It is true that you have to love your job irrespective of the paycheck. If you stick to something long enough you are bound to achieve success. I really loved hearing your thoughts on this topic. Looking forward to your next post. Great post, Matthew! Very inspiring. I am on a non-traditional career path, having changed industries and specializations several times- now finding myself “behind” quite a lot of people in my age range. It’s a good reminder that having patience and learning the broader basics will help define a path, and it will be better than rushing to specialize in something and having to “restart” somewhere else later. I thought this was a very refreshing take on there being more than one way to be successful in a career, and I appreciated the real examples you gave from your experience and that you were able to grow your career through hard work and a strategic approach. I’ll definitely be borrowing a few of these ideas myself! What were your biggest obstacles and fears during your marketing career? I am a new comer to digital marketing field. Your post is very helpful and easy to understand for me. I am a digital marketing intern in social orange. I like to continue in this field, so I like to take more efforts. Hey Matthew, I am probably reading this article for fifth or sixth time now. I See that with every passing day in my job, I could connect to every point, every sentence and every word of it. The only thing, that I still don’t understand, is how to take the ever-coming punch from people who have a tendency of looking out marketing as a function, that is just good for being labelled as a cost-center but having no hand in the sales. I have worked and still wotk in a B2B businesses. Really nice post man. Can’t believe you worked through the night and continued to do a full day’s work every Tuesday/Wednesday! All credit to you buddy and thanks for the inspiration. This is awesome! I’m currently working on my personal brand as well. I’m trying to be as helpful as I can to the community, without charging anything. I’m providing value for free, and I can ask for nothing in return. I find that, although my time could be spent earning money elsewhere, building my reputation outside of my contractual job is what will benefit me in the long run. After all, the contract is doomed to end at a certain time, and I may or may not be hired again, or I may or may not want to be hired again. What’s constant, however, is that my reputation is always ahead of me. My colleague Justin noted you in one of our meetings as someone to pay attention to, and i’m really glad that he did. I look forward to reading more of your content, and hope that you and I can have one of those quick meetings sometime in the future. One thing I would definitely add is adding certifications or online learning. HubSpot [for example] has tons of videos that are very helpful and that anyone can get it. It’s helped me develop tenfold since my starting day in a marketing agency.